The company is betting gamers will pay a premium for its latest high-end GPUs on account of their strong 4K gaming performance and proprietary feature set. Much like Apple (AAPL - Get Report) with the iPhone, Nvidia (NVDA - Get Report) seems intent on growing average selling prices (ASPs) for its PC gaming GPUs. Judging by initial reviews for Nvidia's latest high-end gaming GPUs, and by where the competition stands today, the company has a decent chance of making its pricing strategy pay off. However, we might not have a firm answer until gamers can play big-budget titles that make fuller use of the new GPUs' processing power. Reviews arrived on Wednesday morning of graphics cards containing Nvidia's new RTX 2080 and RTX 2080 Ti GPUs, which were unveiled in August, are based on the company's new Turing architecture and become available on Sept. 20 and Sept. 27, respectively. Generally, reviewers saw solid performance gains relative to Nvidia's older GTX 1080 and GTX 1080 Ti GPUs when playing existing titles. While playing 12 popular games at 4K resolution and high-quality settings, PC Gamer's Jarred Watson found the RTX 2080 Ti delivered an average frame rate that was 33% higher than the 1080 Ti's, and a minimum (97th-percentile) frame rate that was 29% higher. The RTX 2080 posted an average frame rate that was 38% higher than the GTX 1080's, and a minimum frame rate that was 27% higher. Nvidia and Apple are holdings in Jim Cramer's Action Alerts PLUS member club. Want to be alerted before Jim Cramer buys or sells NVDA or AAPL? Learn more now. Performance gains diminish at lower resolutions, but remain meaningful. At a 1080p resolution, PC Gamer's 12-game test found the 2080 Ti and 2080 delivered 18% and 29% improvements, respectively, in average frame rate relative to the 1080 Ti and 1080. That said, unlike at 4K, the real-life impact of the RTX 2080 Ti and 2080's performance gains at 1080p will be pretty limited for existing titles, since Nvidia's older high-end GPUs already did a pretty good job of delivering 1080p frame rates above 60 frames per second (fps) for most games. At a 1440p resolution, Nvidia's new GPUs can sometimes yield better gameplay for existing titles, at least relative to the GTX 1080. In their review, The Verge's Tom Warren and Stefan Etienne recommend that gamers playing at 1440p opt for the standard RTX 2080 rather than splurge on the RTX 2080 Ti. "While the 2080 Ti certainly offers a lot more headroom for upcoming games like Battlefield V, the RTX 2080 is more than capable of running modern titles at [a 1440p] resolution," they write. Nonetheless, though Nvidia's latest high-end parts currently provide limited benefit for most games played at lower resolutions, the story could be very different in a year's time, as games supporting real-time ray tracing roll out. As Nvidia was eager to discuss while unveiling the products in August, its high-end Turing gaming GPUs come with RT Cores -- cores dedicated to enabling real-time ray tracing, which (though computationally demanding) can yield gameplay featuring photorealistic imagery. The current list of games promised to eventually support real-time ray tracing include Battlefield V, Assetto Corsa Competizione and Shadow of the Tomb Raider. Nvidia's latest GPUs also come with Tensor Cores, which accelerate the processing of AI/deep learning algorithms and until recently were found only on the company's Volta-architecture server and workstation GPUs. On gaming GPUs, the Tensor Cores enable a feature called Deep Learning Super Sampling (DLSS), which provides a more efficient way to enhance a game's imagery than traditional anti-aliasing techniques. Benchmarks run against demos supporting DLSS suggest the technology delivers frame-rate improvements that range from moderate to significant. That in turn could make 4K gameplay easier to handle when running demanding titles. Nvidia currently states 25 upcoming games will support DLSS. All of this technology doesn't come cheap: Whereas graphics cards containing the GTX 1080 and 1080 Ti have been carrying suggested retail prices (MSRPs) of $499 and $699, respectively, the RTX 2080 and 2080 Ti sport MSRPs of $699 and $999. A less powerful Turing GPU, the RTX 2070, will be launching in October at a $499 MSRP. As usual, Nvidia is also selling "Founders Edition" graphics cards for its high-end GPUs that were developed by Nvidia itself rather than OEM partners, and which (among other things) are factory-overclocked. The Founders Edition version of the RTX 2080 Ti has an MSRP that's $200 above that of the regular version; for the RTX 2080 and 2070, the premium is $100. Should Nvidia see strong demand for the RTX 2080 and 2080 Ti, its gaming GPU ASPs are bound to go higher. 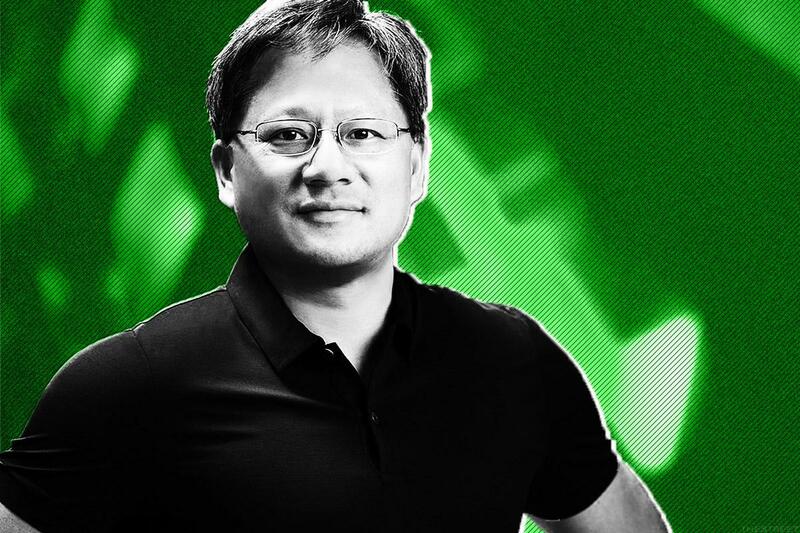 Here, Nvidia is aided not only by the feature set of its newest GPUs, but also by the fact that it's seeing limited high-end competition for now. The 1080 Ti was already outperforming AMD's (AMD - Get Report) most powerful gaming GPU (the Vega 64), and while AMD is expected to launch GPUs based on its next-gen Navi architecture in 2019, the products might be aimed more at Nvidia's mid-range lineup than its high-end lineup. Meanwhile, Intel's (INTC - Get Report) anticipated entry into the discrete GPU market isn't set to happen until 2020, and it still isn't known when the company's first high-end gaming GPUs will arrive. And if and when rivals launch more competitive high-end gaming GPUs, the fact that Nvidia will have built a substantial game ecosystem around its proprietary RT and Tensor Cores could do a lot to help keep gamers loyal. There are some parallels here to how Apple has driven substantial iPhone ASP growth by pricing the iPhone X, and now the XS and XS Max, at a premium. On the surface, the iPhone faces a more competitive environment than Nvidia's high-end gaming GPUs. In practice, however, the company's brand and software/services ecosystem have yielded a very high level of customer loyalty -- loyalty that it can leverage when iPhone owners are looking to upgrade. Moreover, just as Apple, Samsung (SSNLF and others have been wagering that high-end smartphone owners spending several hours per day using their devices will be willing to pay top dollar for a new device, Nvidia is betting that a lot of the PC gamers who spend many hours per day playing AAA titles will pay a healthy premium for a high-end experience. Those power users have helped Nvidia and many other firms with heavy PC gaming exposure report strong sales growth recently. In Nvidia's case, some of its high-end customers might not be ready to pay that premium until they and game reviewers can start playing fully-fledged AAA games that support ray-tracing and DLSS. However, based on what Nvidia has demoed and what reviewers are reporting, there are reasons to think a good portion of these gamers will eventually do so.